Born in Kolkatta (Calcutta), Bappi Lahiri's father Apresh Lahiri and mother Bansari Lahiri were great composers of their time. When, at the age of 11, he composed his first song, he also decided that he would become a music director only. So, when he turned 19 in 1971, he came to Mumbai (Bombay). Bappi Lahiri has completed 50 years in Bollywood with 625 films to his credit in the field of music composing and singing. He has also marked his brilliance in Hollywood with award winning films like - Lion, You Don't Mess with the Zohan, Moana, Will To Live, Witness to Murder. He also carved his name on the trophy of China Gold Award for the film Disco Dancer. Above all Bappi Lahiri considers himself blessed to be able to work with one of the most noble souls in the world "Mother Teresa". He also won some of the prestigious awards Nationally & Internationally, to name a few are- Filmfare Award for Sharaabi, Filmfare Life Time Achievement Award , Bharatratna Dr Babasaheb Ambedkar Award, Golden Lotus Award ( best film 1997) , Sangeet Samrat Award , 150 Silver Jubilee and Golden Jubilee trophy for the films - Namak Halaal , Disco dancer, Sharaabi , Himmatwala, Toofan, Thanedaar, Chalte Chalte, National Award for Bengali film produced by Mrs. Chitrani Lahiri and Bappi Lahiri. His recent songs Oh La La from The Dirty Picture , Tamma Tamma from Badrinath Ki Dulhania, Golmaal 3, iconic song Jimmi Jimmi Aaja Aaja are still topping the charts in China & Russia as chartbuster songs. 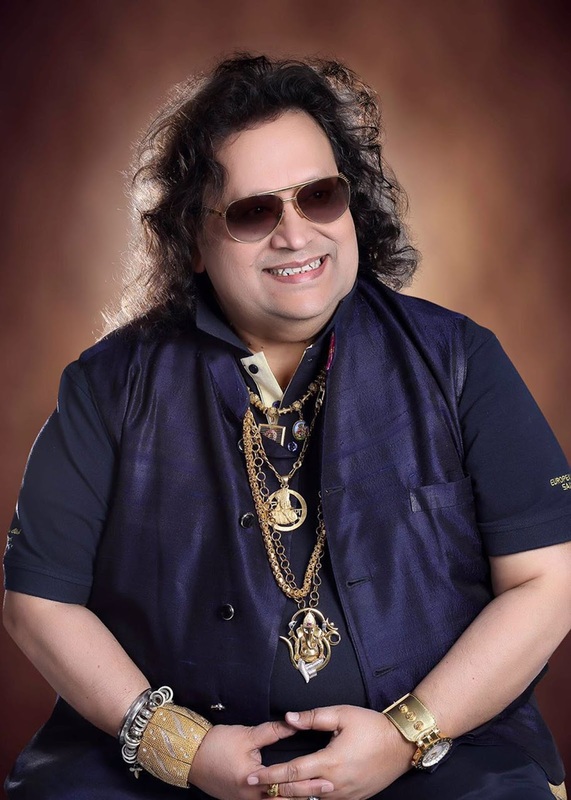 Bappi Lahiri has worked with luminaries like- with Lata Mangeshkar, Mohammed Rafi, Asha Bhosle, Kishore Kumar, Manna Dey, P. Susheela, S.P. Balasubramaniam, S. Janaki to recent singers. He has also worked with stars like Amitabh Bachchan , Jeetendra , Dharmendra to Aamir Khan , Abhishek Bachchan, Salman khan , akshay kumar, ranveer sing to Shah Rukh Khan and Dilip kumar & International stars like- Samantha Fox , Boy George, Snoop Dogg , MC Hammer, Akon. 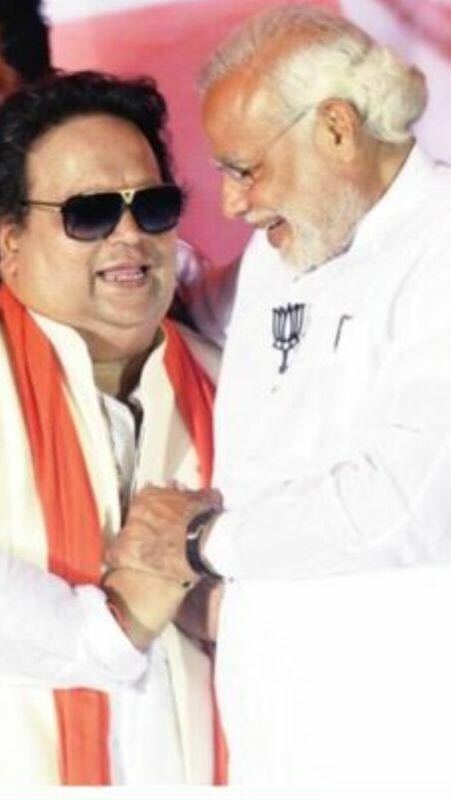 Bappi Lahiri, 1st music director who composed songs for Bharat Ratna Shri. Atal Bihari Vajpayee & Bharat Ratna Dr. Ambedkar gifted the CDs to Honorable President of India Mr. Ram Nath Kovind in the presence of Home Minister Rajnath Singh. His film "Slum Stars" won award for Best Film as a Director. He won an award for the Best Director in Sydney (Australia) for "Slum Stars".